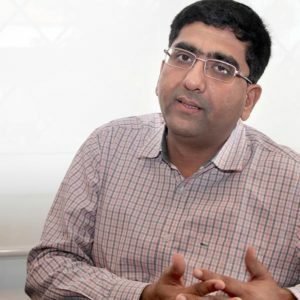 Unitus Ventures (formerly Unitus Seed Fund) is in the process of raising a second fund of about ₹300 crore ($45-50 million), more than the double its first fund of ₹125 crore ($23 million), which has either been fully invested or committed. Unitus hopes to achieve first close of the fund in the middle of this year. As in the first fund, Unitus will raise the money from some high-profile wealthy individuals and family offices and use the money to invest in ventures at the seed stage. With the second fund, it will write larger cheques given that the businesses too require more capital at the seed stage itself now. “As a seed investor, we are coming in fairly early, when there is some proof of concept, ideally a pilot, but still a lot more validation that needs to happen before they can raise more capital,” he says. Unitus typically invests $100,000-500,000, the sweet spot being $250,000-3000,000, roughly ₹1.5-2.5 crore. That is the first cheque, but it reserves up to $1 million (₹6.5 crore) or slightly more for follow-on rounds. Unitus will participate in the follow-on rounds, but will not be the lead investor in them. According to him, Unitus will continue with the same approach with the second fund, with healthcare and education accounting for the bulk of the allocation. The VC firm is seeing interesting opportunities in financial technology, particularly ventures with a focus on financial inclusion. So, healthcare, education and fintech will account for a majority of its allocation in the second fund. Also, with a higher fund now, Unitus hopes to invest in 30 companies out of the fund, with an increased initial ticket size – about $500,000 (₹3.4 crore). “Some of these businesses require larger amounts of capital in the seed round itself. For example, fintech we find seed rounds tend to be larger as some of them are capital intensive at the seed stage itself, either to hire high quality resources or to deploy into technology,” he says.